LG G4 Now Available In The U.S.
LG Electronics today announced that the LG G4 is officially on sale online and in stores through major carriers, including Verizon, AT&T, Sprint, T-Mobile, and U.S. Cellular, as well as national retailers Best Buy and Amazon.com. This marks a momentous launch for LG and its highly sought-after flagship that features a fresh take on smartphone design. Available in Genuine Leather Brown, Genuine Leather Black, Metallic Gray, Ceramic White and Gold, specific pricing, color options and bundle details can be found on each carrier and retailer’s site. "Stitched into the heart and soul of all of our smartphones is our guiding principle of innovation for a better life," said Morris Lee, senior vice president and head of North American sales and marketing, LG MobileComm. "We focused long and hard on perfecting that promise in the G4, for consumers across the country to discover for themselves one of the best smartphone experiences on the market today." Extra Battery. Double Storage. Zero Cost. Just in time to celebrate and capture the spirit of summer travel and photography, consumers who purchase a new LG G4 now through June 21, 2015 can receive a free extra battery, memory card and battery charging cradle*—making it easier for those on-the-go to stay connected and ready to capture those once-in-a-lifetime memories with plenty of battery life and storage. The LG G4’s genuine leather back cover undergoes a meticulous tanning process that requires skilled craftsmen to produce and dye the leather. The colors of each cover are rich with warm tones that look authentic and change over time. Now you can brighten up your new G4 with an interchangeable genuine leather back cover in a limited-edition color. Get a second one free during this exclusive BOGO sale. 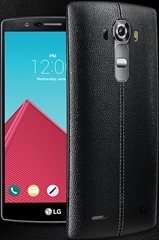 Beginning on June 8, customers who visit LG.com can pre-order leather back covers for their LG G4 in red, pink, sky blue, yellow and orange for $69.00. 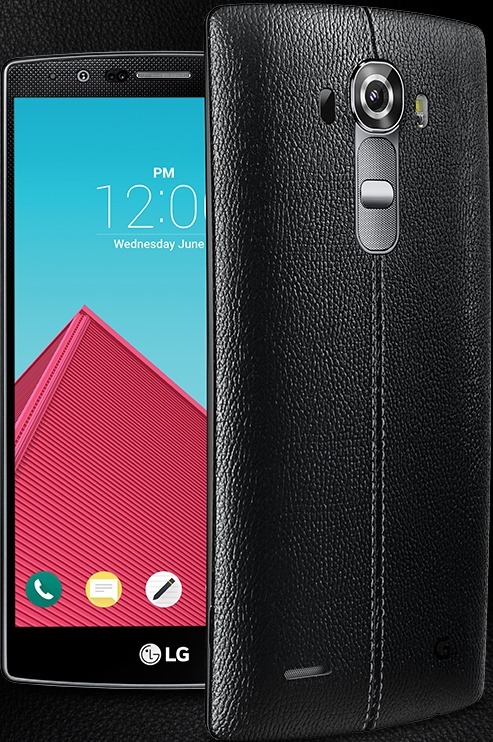 The LG G4’s interchangeable leather back covers allow users to mix and match color options to fit their style. With the LG G4, amateur and professional photographers alike can now add a smartphone to their repertoire. With an F1.8 wide aperture lens, 16MP rear-facing OIS 2.0 camera and 8MP front-facing selfie camera, the G4 captures professional-grade photos with stunning clarity and color accuracy. Its newManual Mode lets users get even more creative with their shots by adjusting the focus, shutter speed, ISO, exposure compensation and white balance. Capturing beautiful images is one of the G4’s great qualities—and so is experiencing great visual experiences. The LG G4 is the first smartphone with a 5.5-inch IPS Quantum Display with Quad HD resolution, offering 20 percent greater color reproduction, 25 percent improvement in brightness and 50 percent greater contrasts over the LG G3. For more details about the LG G4 and LG’s promotion, please visit www.LGG4promo.com. *Promotion is open to legal residents of the 50 U.S. including D.C. who have purchased an LG G4 device from a participating retailer or carrier during the Promotion Period. Purchase period starts on 5/22/2015and ends on 6/30/2015. Requests must be received online or by mail-in submission before 7/14/2015 at11:59:59 PM ET. Limited time offer. Quantities are limited. Limit: one (1) 32GB Micro SD card, one (1) extra LG battery, and one (1) battery charging cradle per person and per household. To redeem online, visit www.lgg4promo.com and enter the information requested and include: carrier where the purchase was made and upload a legible copy of your receipt of purchase, and picture of G4 box with IMEI number. Subject to full terms and conditions. To redeem by mail, see full terms and conditions available at www.lgg4promo.com. LG Electronics MobileComm USA, Inc., based in Englewood Cliffs, N.J., is the U.S. sales subsidiary of LG Electronics USA Inc., a global innovator and trend leader in the global mobile communications industry. LG is driving the evolution of mobile forward with its highly competitive core technologies in the areas of display, battery and camera optics and strategic partnerships with noted industry leaders. LG’s consumer-centric products — including the flagship premium G Series models — incorporate unique, ergonomic designs and intuitive UX features that enhance the user experience. The company remains committed to leading consumers into the era of convergence, maximizing inter-device connectivity between smartphones, tablets and a wide range of home and portable electronics products. For more information, please visit www.LG.com.